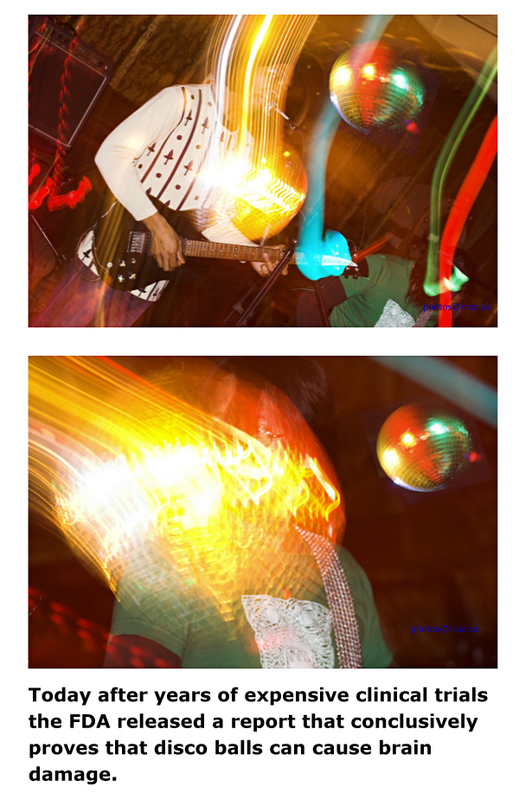 Friday night was my first attempt to shoot a band playing in Toronto at this old fish house converted to a nightclub. With very little stage lighting I switched between ISO 400 with flash and ISO 1600 (no flash) with 50mm f1.8 and 100mm f2.0 lens. I was fasinated by the lighting from the disco ball. The two shots below were done with a flash and a long exposure where after the flash fired I moved the camera in the direction of the disco ball. Of course the floating disco ball on the right was put in later.